With the rapid emergence and spread of MDR bacterial infections, antimicrobial resistance (AMR) has become a major global public health threat. Patients in intensive care units (ICUs) are particularly vulnerable to infections. Increasingly, these infections are resistant to a range of antibiotics, leaving doctors with only few options to treat their patients. AIC499 is an innovative beta-lactam antibiotic which addresses the urgent unmet medical need arising from hospital-acquired infections with Gram-negative bacteria. In combination with a BLI, AIC499 shows very potent antibacterial activity against Gram-negative pathogens including multi-drug resistant strains of Pseudomonas and Acinetobacter species. Due to its unique profile and extensive coverage, AIC499 has the potential to become a very powerful treatment option for present and future resistant Gram-negative infections. The phase 1 and phase 2 clinical development of AIC499 is being supported by the Innovative Medicines Initiative (IMI) within the COMBACTE-MAGNET project. COMBACTE MAGNET is a highly innovative program in which the academic and private partners across Europe, including AiCuris and the Medical University of Vienna, are collaborating to combat the threat of antimicrobial resistance in Gram-negative bacteria worldwide. The Innovative Medicines Initiative (IMI) New Drugs 4 Bad Bugs (ND4BB) program has been launched by the European Union and the European Federation of Pharmaceutical Industries and Associations (EFPIA). The COMBACTE-MAGNET (Combatting Bacterial Resistance in Europe – Molecules against Gram-Negative Infections) project is investigating new approaches to prevent and treat life-threatening infections caused by multidrug-resistant Gram-negative bacteria. The goal of this project is to stimulate antibacterial drug development in Europe by an unprecedented partnership between leading experts from universities, hospitals, and pharmaceutical companies. The Innovative Medicines Initiative (IMI) is working to improve health by speeding up the development of, and patient access to, innovative medicines, particularly in areas where there is an unmet medical or social need. It does this by facilitating collaboration between the key players involved in healthcare research, including universities, the pharmaceutical and other industries, small and medium-sized enterprises (SMEs), patient organizations, and medicines regulators. IMI is a partnership between the European Union (represented by the European Commission) and the European pharmaceutical industry (represented by EFPIA, the European Federation of Pharmaceutical Industries and Associations). For more information please visit the IMI website under www.imi.europa.eu. AiCuris was founded in 2006 as a spin-off from Bayer and focuses on the discovery and development of drugs against infectious diseases. The company’s majority investor is SANTO Holding. The company is developing drugs for the treatment of viruses such as human cytomegalovirus (HCMV), herpes simplex virus (HSV), hepatitis B virus (HBV), and adenoviruses. In the field of antibacterials, AiCuris seeks to develop innovative treatment options for life-threatening, (multidrug)-resistant hospital-treated pathogens. In 2012, AiCuris signed a license agreement with Merck & Co (MSD), one of the largest agreements of its kind in the European biotech industry. The agreement covers the development and commercialization of novel drug candidates against HCMV. 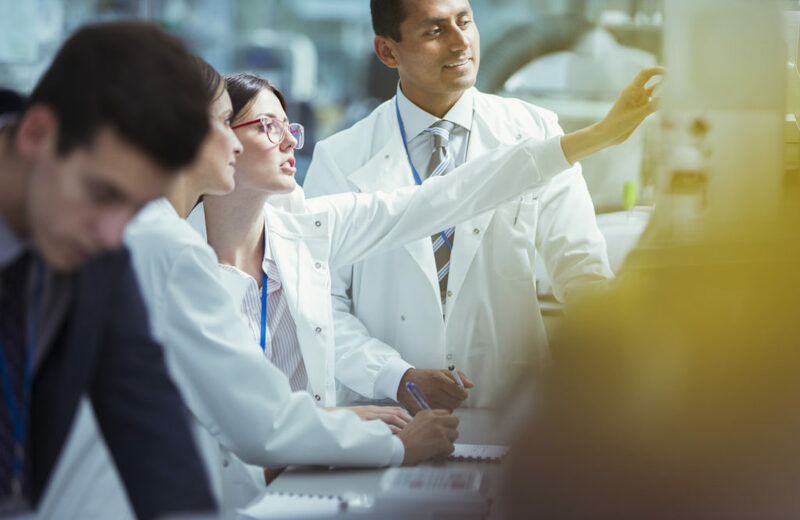 Letermovir, the most advanced compound under this agreement, recently met the primary endpoint in a pivotal phase 3 clinical trial in patients undergoing bone marrow transplantation. AiCuris Anti-infective Cures GmbH, a leading company in the discovery and development of drugs against infectious diseases, today announced the start of a new clinical program with AIC499, an innovative beta-lactam antibiotic against a broad range of multidrug-resistant (MDR) Gram-negative bacteria in complicated urinary tract infections (cUTI) and complicated intra-abdominal infections (cIAI). As a first step in the clinical development, the first-in-human phase 1 trial is currently ongoing to primarily evaluate the safety, tolerability and pharmacokinetics of single ascending doses of intravenous AIC499. The study is randomized, single-blind, placebo-controlled and conducted in 48 healthy volunteers in a single center at the Medical University of Vienna, Austria. This single dose part will be followed by a multiple ascending dose part in 36 volunteers.